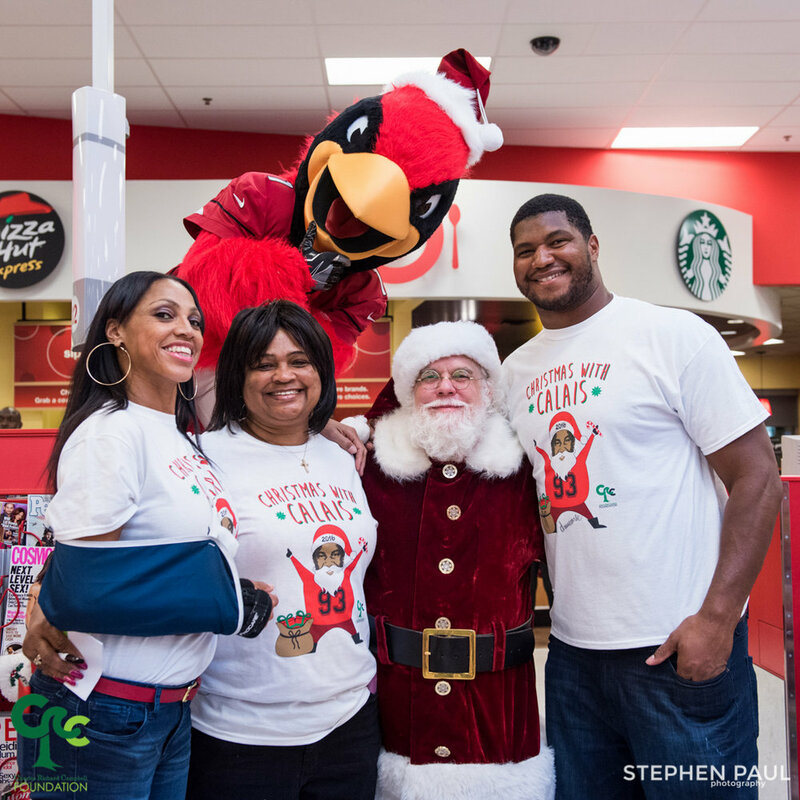 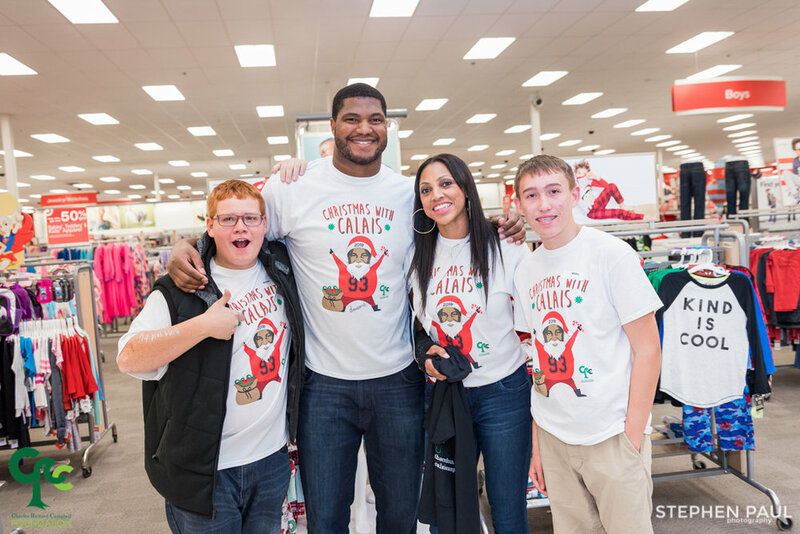 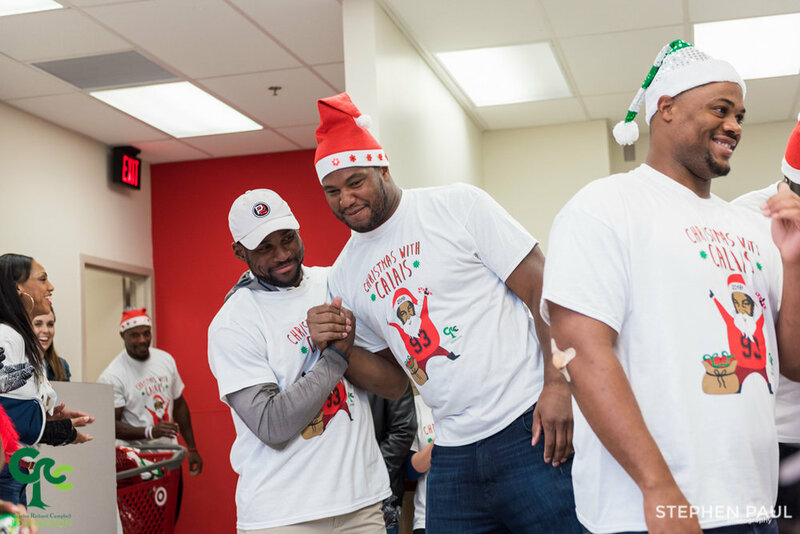 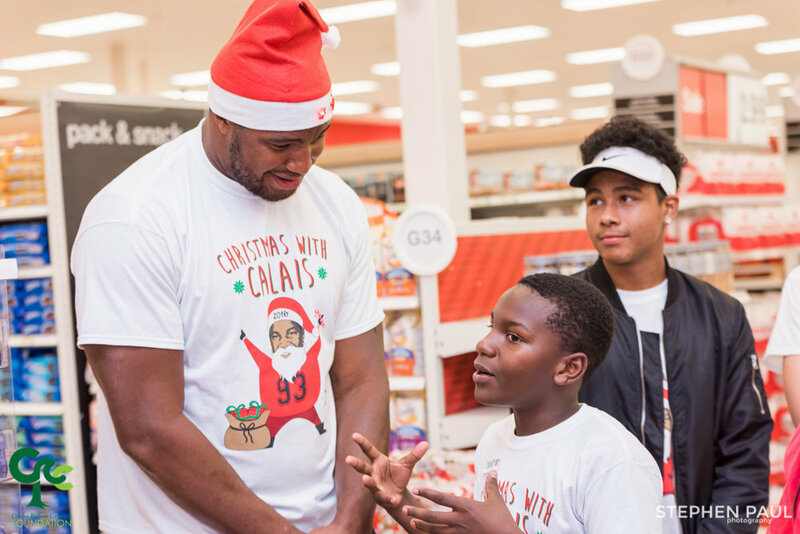 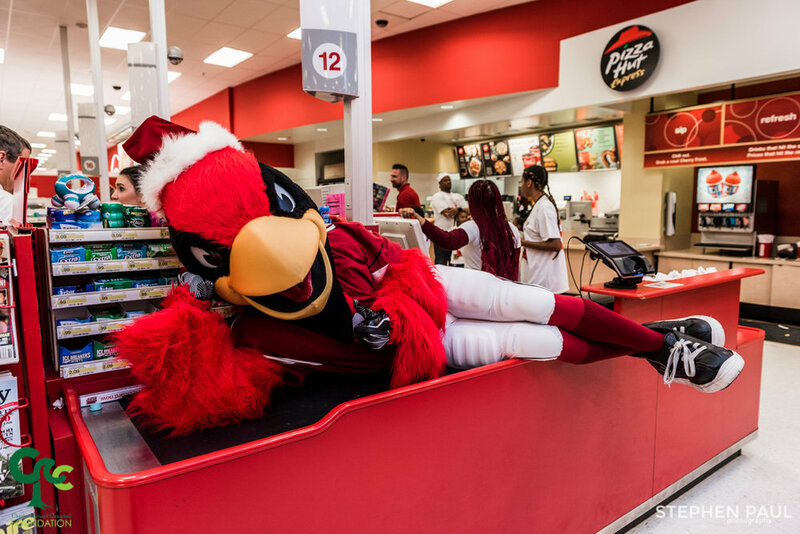 Arizona Cardinals stars Calais Campbell and Larry Fitzgerald take some children shopping. 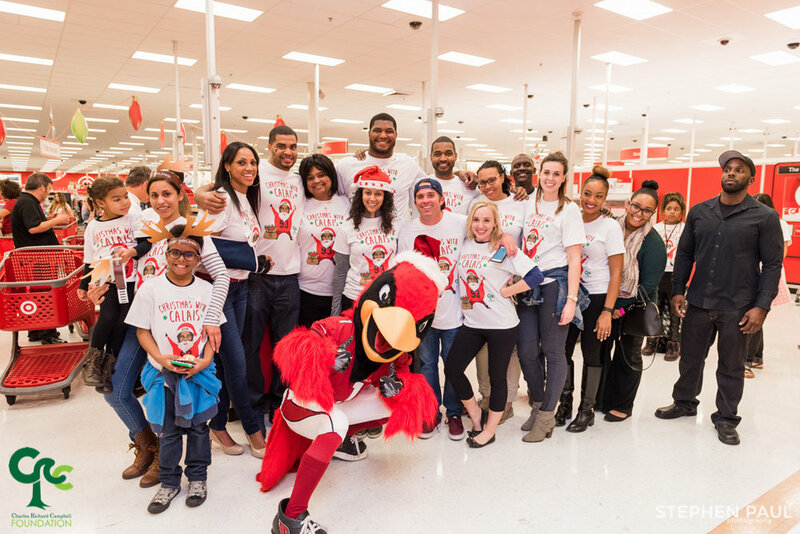 Wow, what an amazing event. 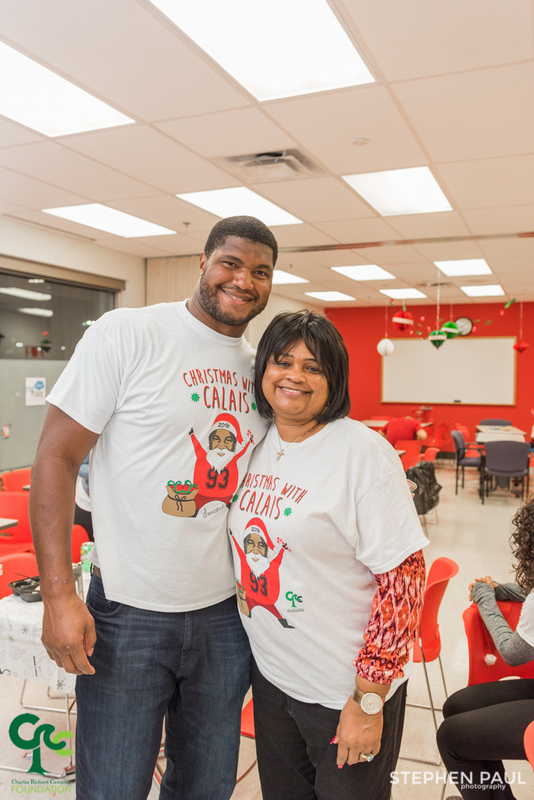 Last night I was fortunate to partner with Arizona Cardinals player Calais Campbell and his family foundation, The CRC Foundation, for his annual event called "Christmas with Calais." 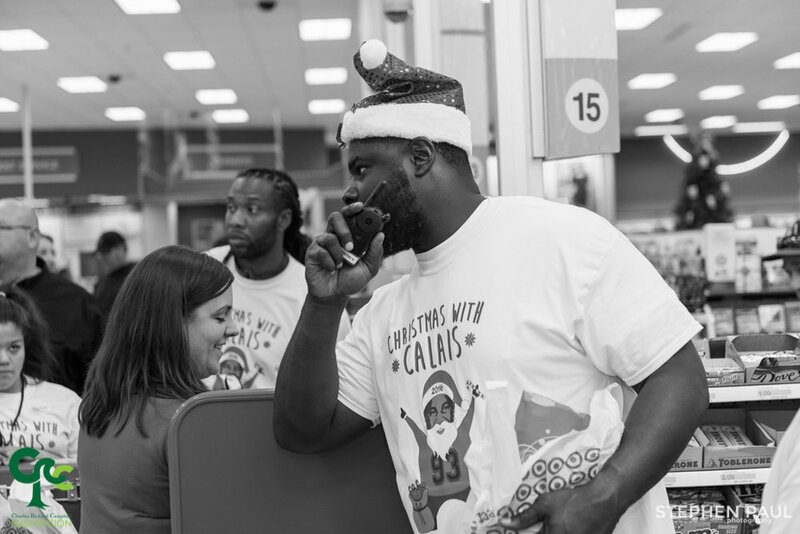 During the Christmas season, Calais invites underprivileged children out for a night of shopping. 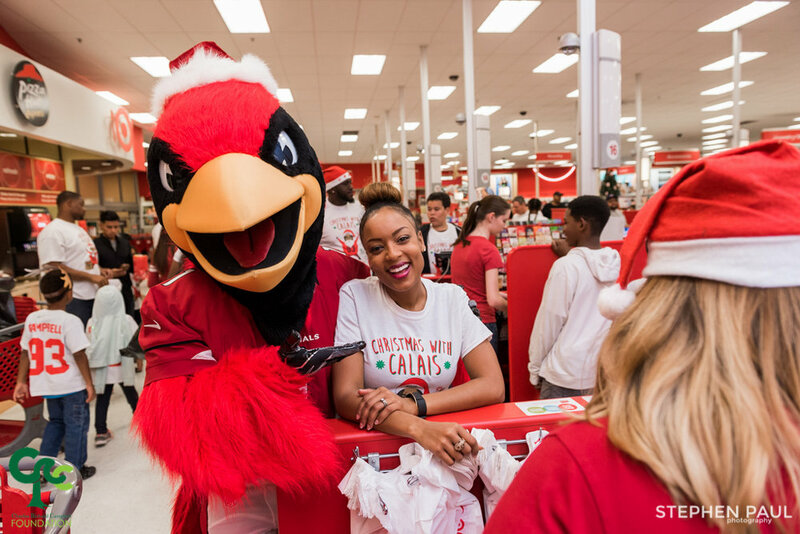 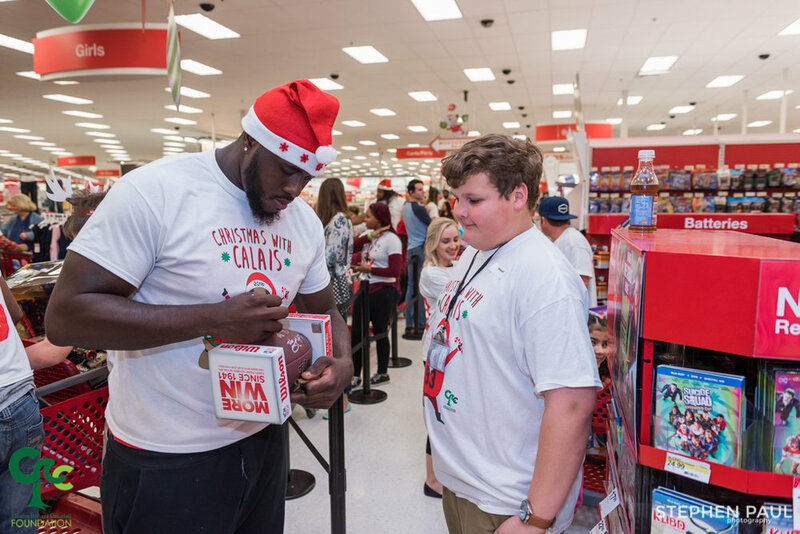 The kids showed up to a local Target store and were greeted by staff from The CRC Foundation, Arizona Cardinals, Target and Boston Market. 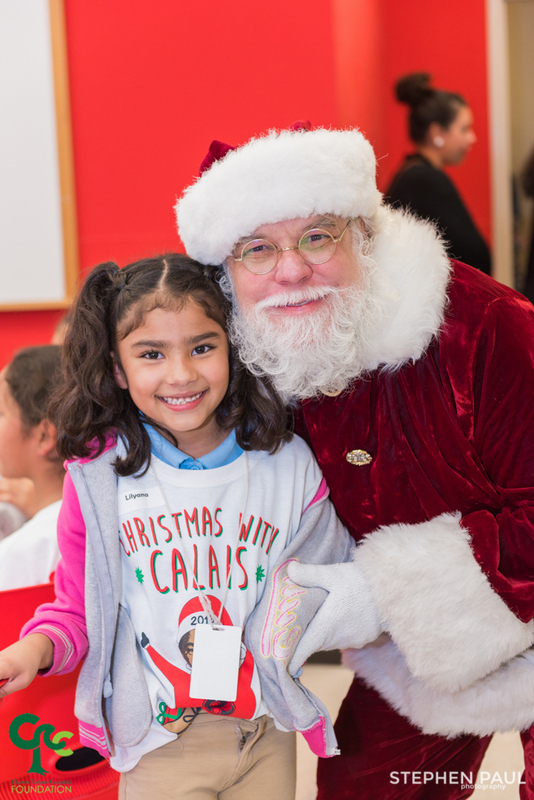 Boston Market were serving the children some delicious food when a surprise visitor arrived, the man himself... no, not Calais but Santa Claus. 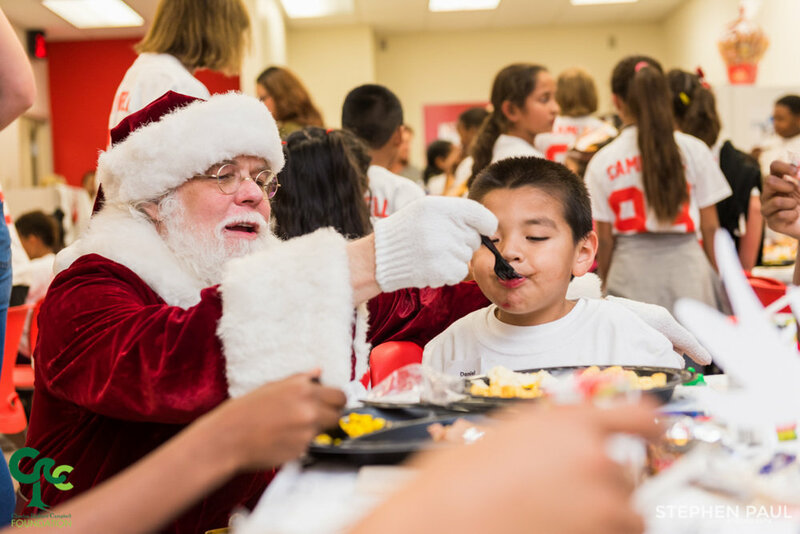 Santa greeted the children with hugs, high fives and even fed a couple. 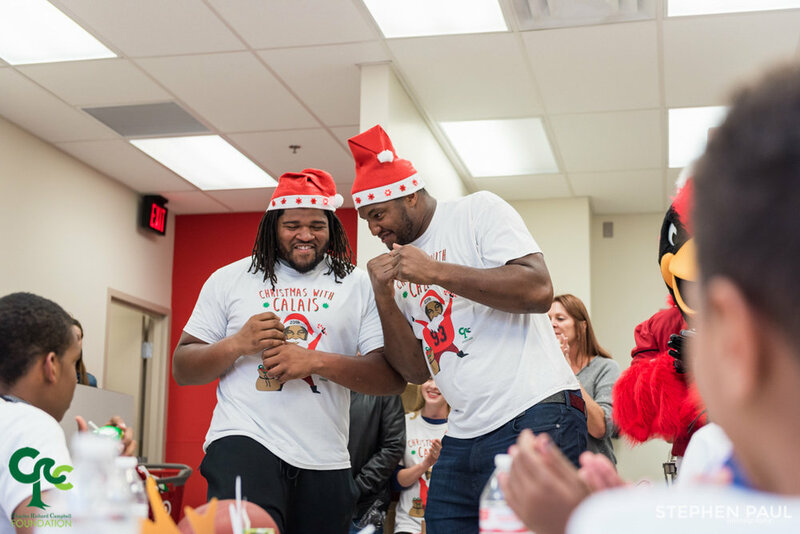 After dinner, Calais arrived with some friends, Arizona Cardinals players: David Johnson, Larry Fitzgerald, Frostee Rucker, Corey Peters, Patrick Peterson, Xavier Williams, Rodney Gunter, & of course BIG RED. 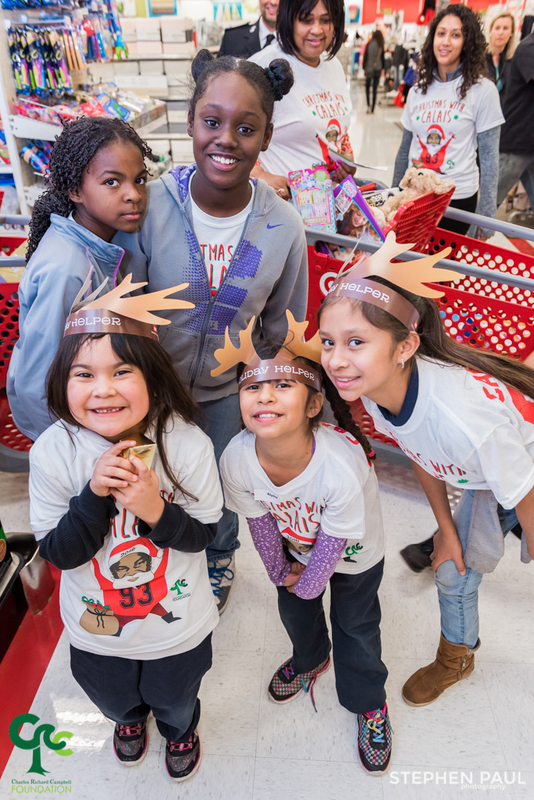 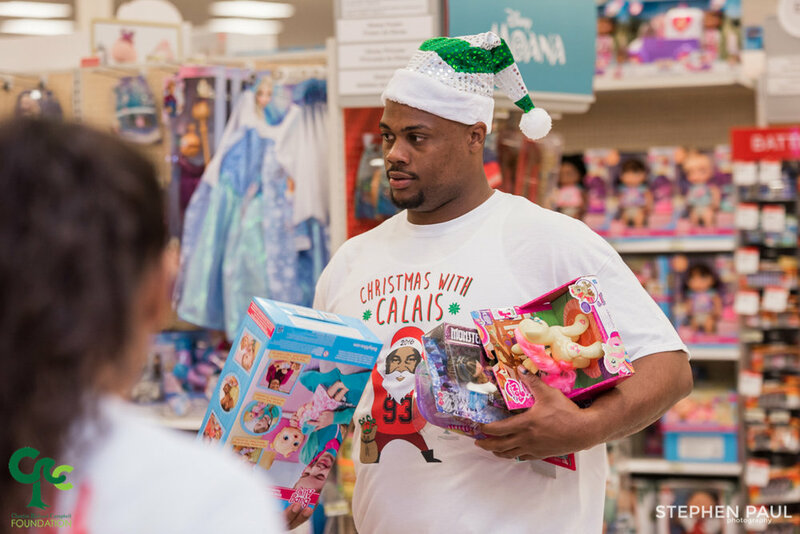 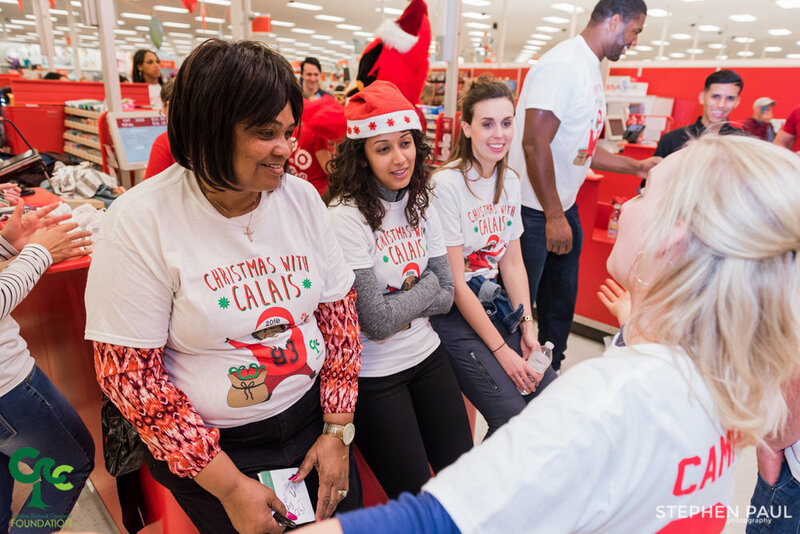 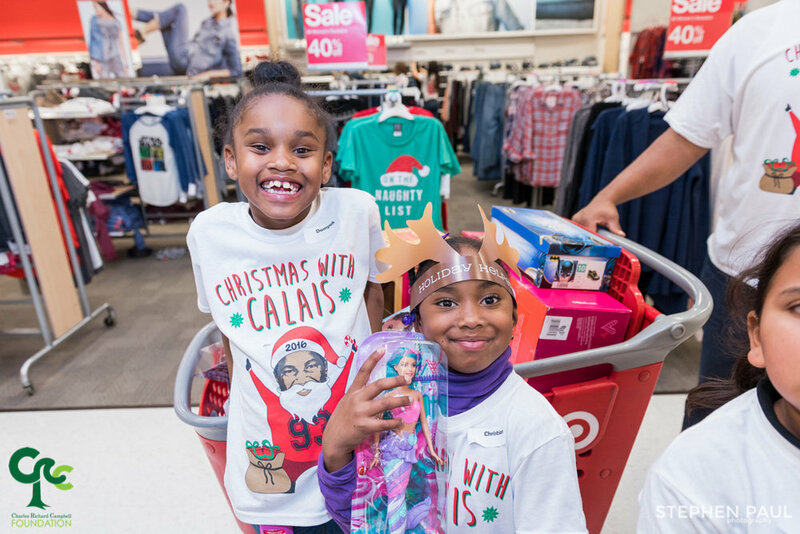 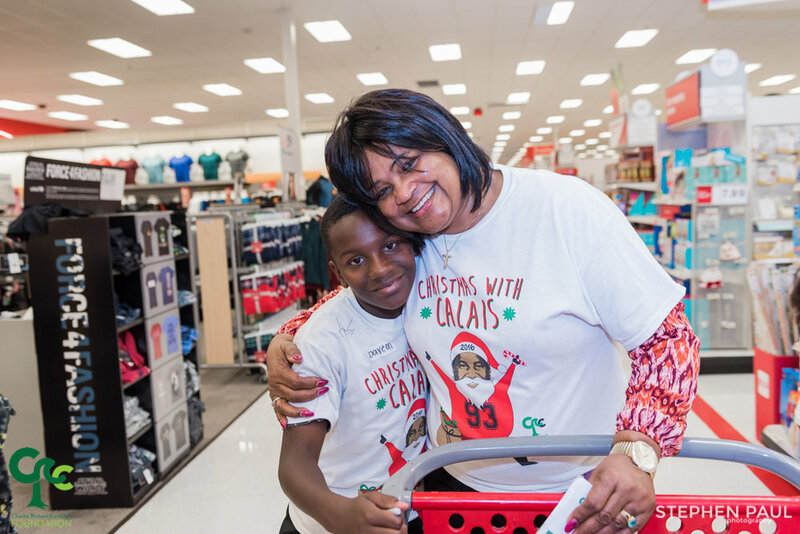 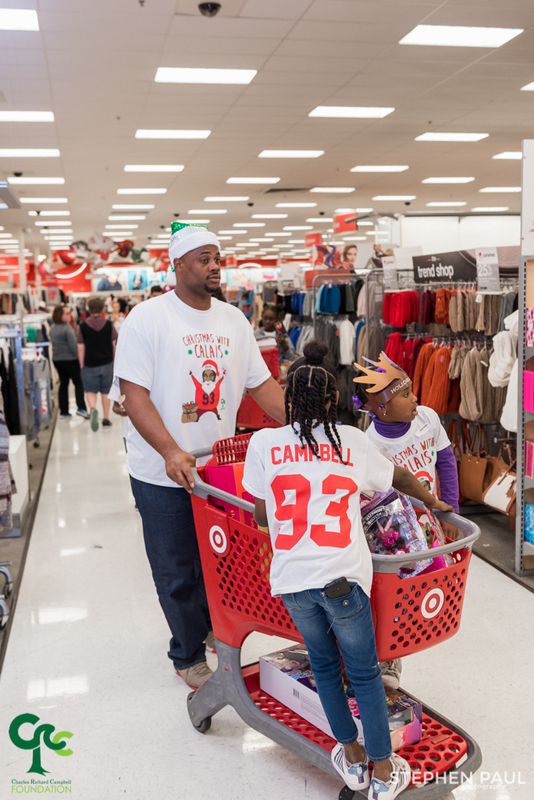 Calais purchased Target gift cards for each of the 70 children and sent them out to go shopping. 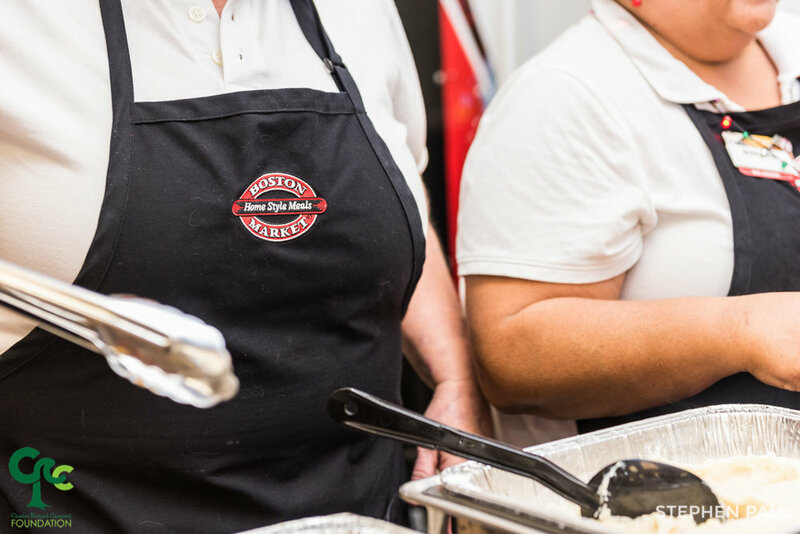 This is where the magic happened. 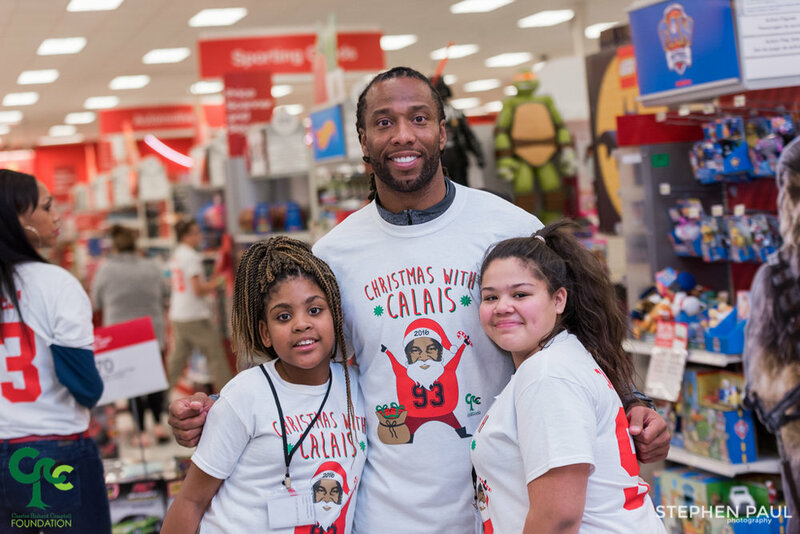 These kids lit up with joy. 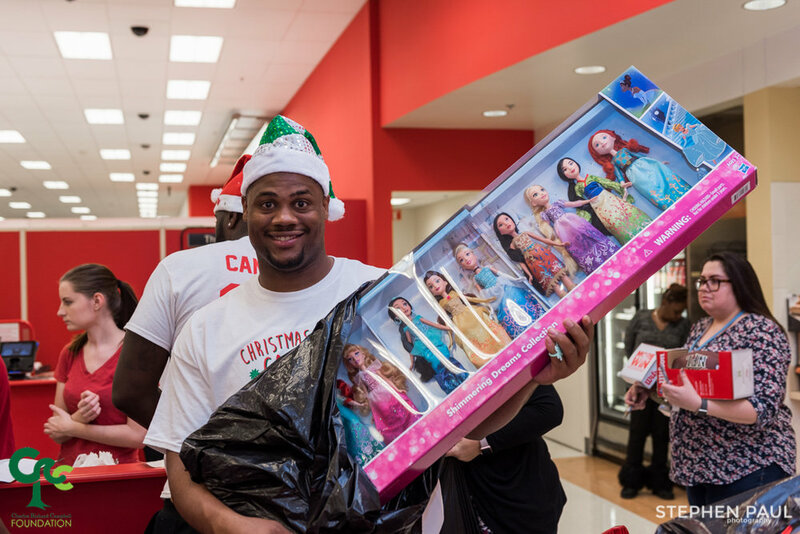 Only in their wildest dreams could they imagine going to a store and going home with whatever toy they wanted. 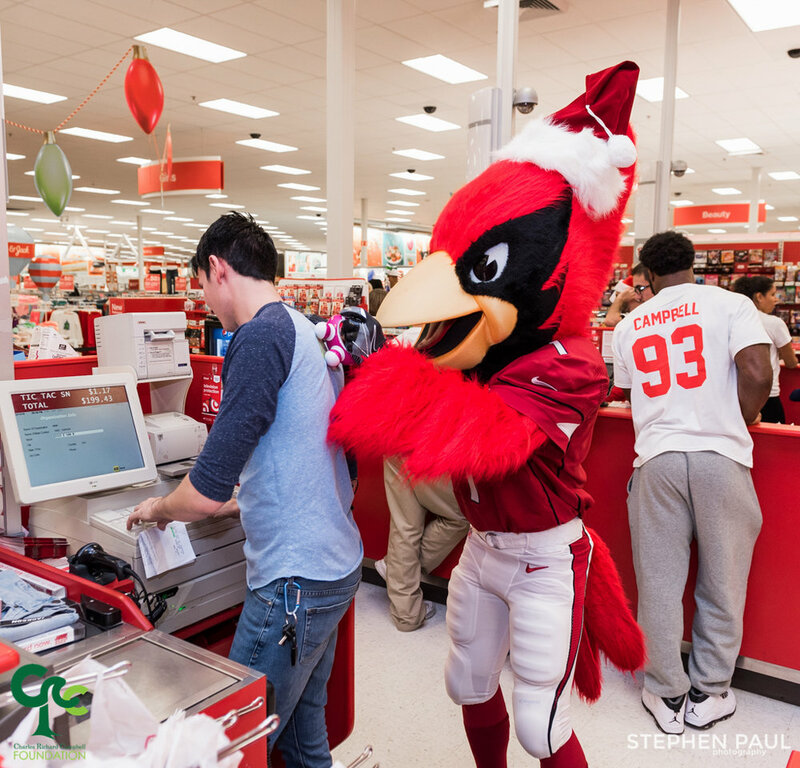 When some kids went over the budget on the gift cards, the other players picked up the tab. 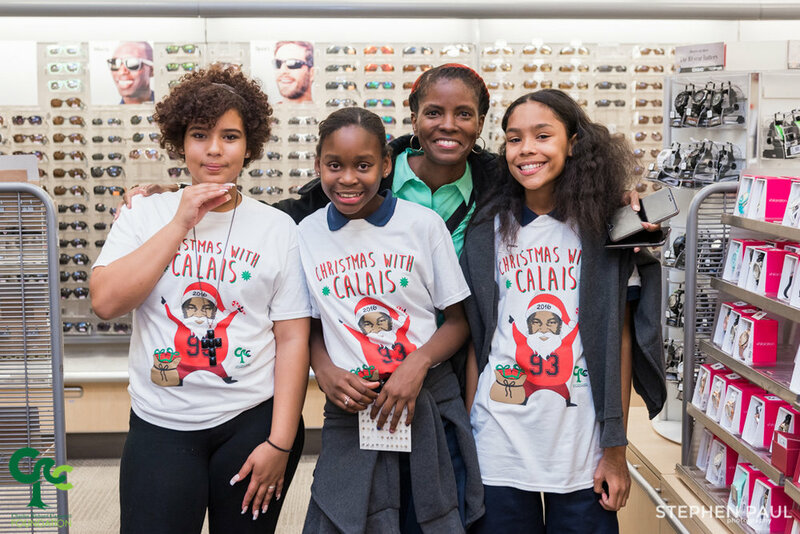 Calais' generosity will not be lost in these kids hearts and minds. 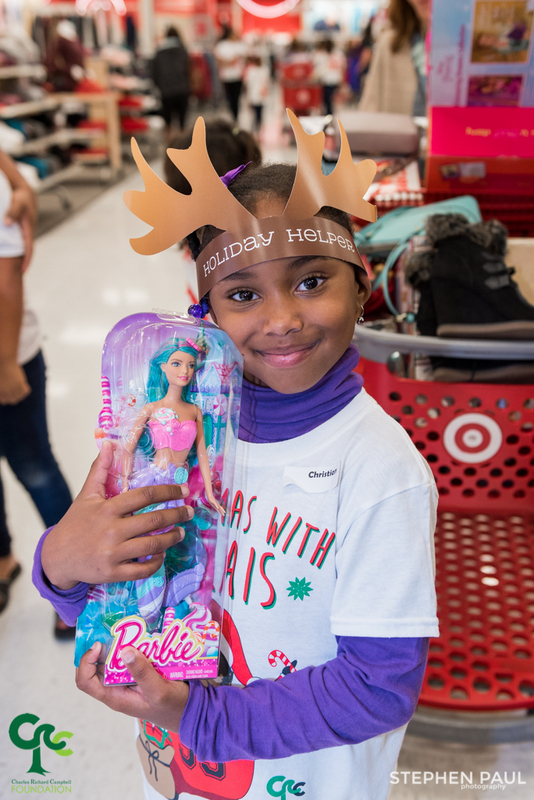 They will NEVER forget this day. 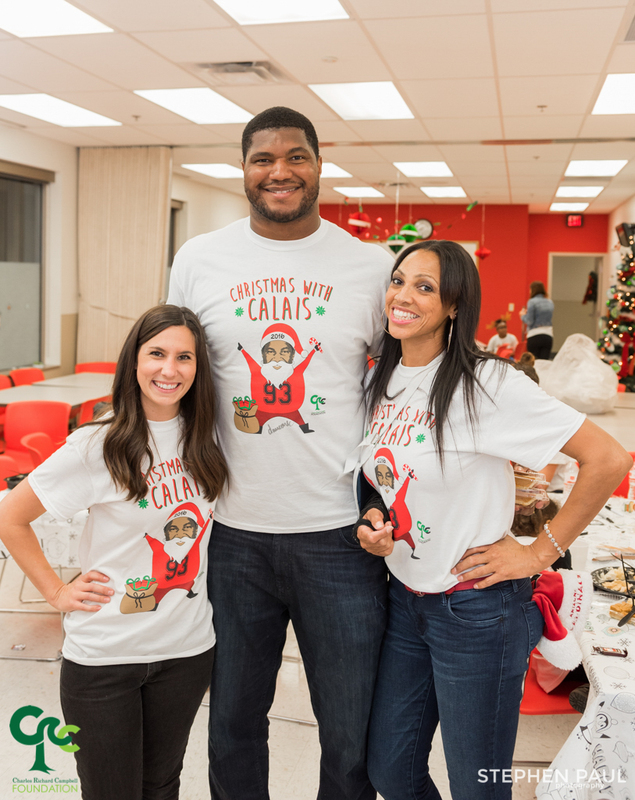 Thank you to Calais Campbell & his amazing family. 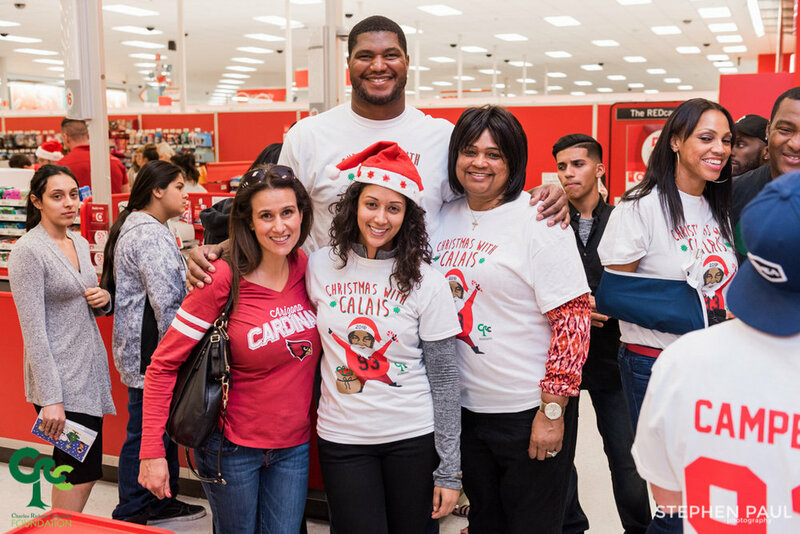 Additionally, thanks to everyone at The CRC Foundation, Centurion Strategies, Arizona Cardinals and players, Target, & Boston Market.